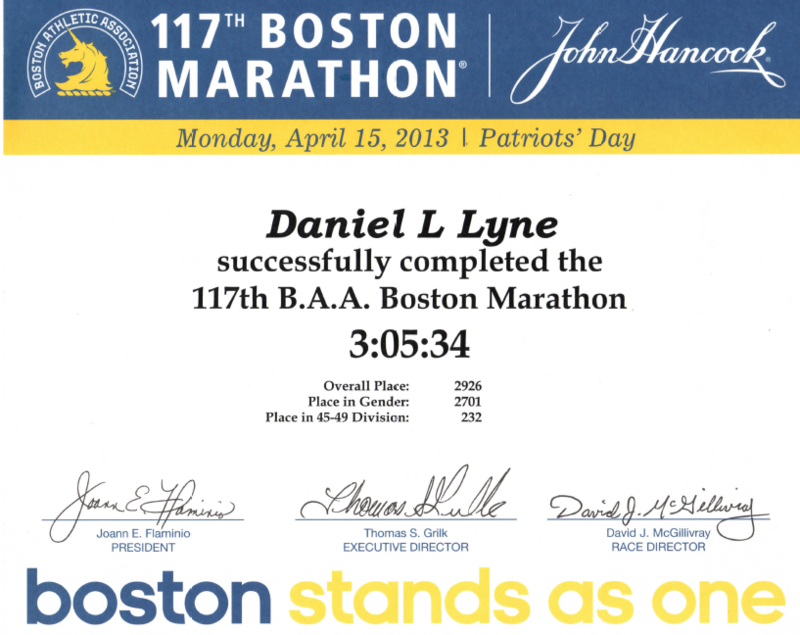 This information helped a busy middle age runner who had been plagued by injuries for years to easily qualify for 7 Boston Marathons in the last 7 years. Now, it’s YOUR turn to put these proven concepts to work. It’s true that thousands of ordinary people will make an attempt to complete a marathon this year, but many will fail. Are you thinking of running a marathon, but don’t know how to train for a 26.2 mile race? If you’re not sure how to prepare for a marathon or you trained for one before and got hurt, sick or simply didn’t reach your goal, it’s likely you only need to make a few simple adjustments. I’ve written this message just for you! Of all people who sign up for a marathon, many will get hurt at some point prior to the race or their training. 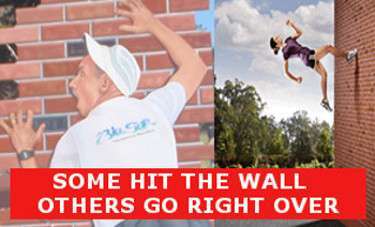 Others will run their race and ultimately finish, but during the race, they will either “hit the wall” or experience extreme discomfort, so they walk or hobble the last miles, finishing miserably. Maybe you have already experienced either of the scenarios I describe above. I did in my first marathon. If you don’t train properly, you risk injury or not being prepared. Most runners are at differing levels of fitness, age, body size or they are busy people who don’t have a lot of time to train (as much as a professional runner does), so it doesn’t make sense for a 47 year old woman with a career, family and busy life to use a marathon training plan that’s designed for a 29 year old single man or vice-versa. If you want personalized training information from a coach, you typically have to pay expensive monthly or long term fees. 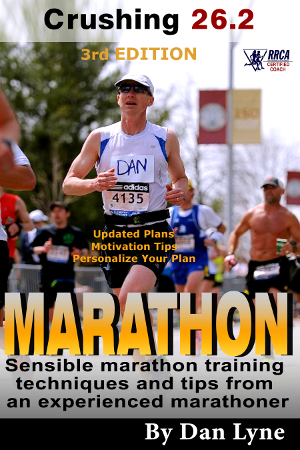 The good news is there’s a proven marathon training plan available that has been developed and used by an experienced runner & RRCA certified coach who started running marathons over 30 years ago…this plan is a comprehensive training program, that will get you to the starting line healthy, strong and confident. Included with this plan, I will show you how to personalize the workouts and paces, so it meets your specific goals and athletic ability. I have been running for 39+ years. My first marathon was in 1986. I had to walk much of the last 6 miles to finish. 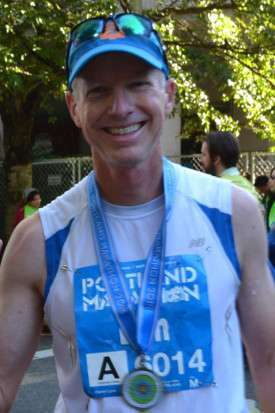 I ran a 2:40 marathon in 1991. Yet, as I got older, I often seemed to get injured. As a busy professional with a family, I also found it very challenging to find the time and motivation to train for a marathon. Much of the time, due to injuries or what I perceived as a lack of time to train, I often didn’t have the motivation or confidence to train for a 1/2 or full marathon. With every one of my injuries, I learned how to treat and prevent the problem from recurring. I now consider myself the “Crash Test Dummy” for middle age marathoners, because I have not only suffered through numerous injuries, but I have also tried and tested many different ways to train for a marathon. What I have discovered is that due to the lack of personalization with most training plans, it’s not easy to find a plan that will work for a 35+ male or female runner. So I took the time to complete the RRCA Coaching Certification ​Program. RRCA Certified Coaches work with runners and emphasize the use of intelligent training plans that are based on a scientific body of knowledge and designed to help a runner achieve their goals, while minimizing the risks of injuries. This also includes complete strength training and nutrition programs. My comprehensive plan provides a diverse set of proven workouts, a nutrition plan to fuel your exercise and speed recovery and a variety of cross-fit, strength workouts and stretches to build strength and prevent injury. Since 2010, I have used my training plan that incorporates years of experience and knowledge. 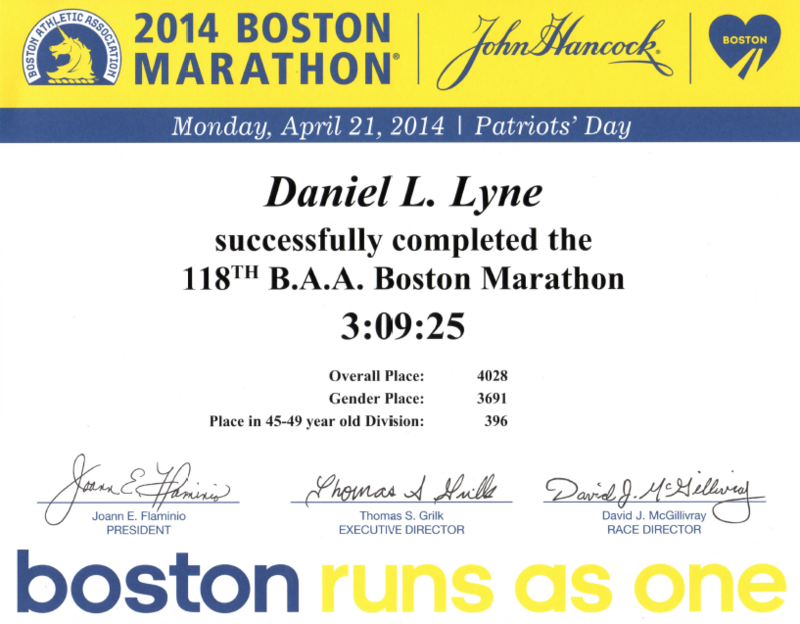 The results are that I easily qualify to run the Boston Marathon every year. When you order Crushing 26.2: “A Step-By-Step Program to Avoid Injury, Have Fun and Finish the BIG Race,” you’ll receive immediate access to one of the most affordable and comprehensive marathon training plans designed for the beginning marathoner. Inside Crushing 26.2 you will find a complete blue-print to your success that includes quality runs and workouts that produce real gains in speed, endurance, and running pace. I can show you how to combine simple cross training/strength workouts with smart nutrition and injury prevention strategies. 1) Beginner Basics (the keys to success) – a list of the most common marathon training mistakes revealed and how to overcome them (critical to ensure you stay injury free). 2) Downloadable/printable detailed daily 20 week training schedule – more than workouts on a spreadsheet, detailed explanations of all workouts and terms are included. 5) Complete stretching guide – recommended stretches for runners with detailed photos and instructions. 6) Circuit Training for runners – workouts that build strength and injury resistant muscles. Photos and instructions for each exercise. 7) Common Running Injuries – symptoms, prevention and the step-by-step process for ensuring long term recovery and recurrence of running related injuries. Stop injuries before they happen with proven routines that integrate with your training. 8) Beginner Runner Training Plan – a 12 week plan for beginners before starting the marathon training plan. This ensures you are in shape and ready to start the “marathon journey. 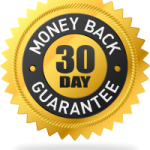 I also offer a 30 day, money back guarantee. 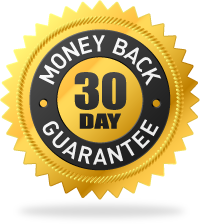 If after you make the purchase and test out my system, you are not convinced or satisfied that this program will help you finish a marathon, then send me an e-mail with your purchase information and I’ll personally take care of the refund, myself. On the other hand, if Crushing 26.2 does meet your expectations, you’ll be delighted – and I think that’s exactly what’s about to happen. When you order Crushing 26.2 for the low price of $17.99, you will get a very complete training plan. However, you may need some help to plan realistic & achievable goals. That’s why, I will include My Goal Setting Cheatsheet with your purchase. I use the proven process revealed in this “cheatsheet” to help runner’s whom I coach to set realistic time goals. This is the first step to ensure your success. Once your realistic and achievable goals are set, I’ll then show you how to find your marathon race pace. This is essential for your training and ultimately to ensure you achieve your goals. I want to show you how to have an incredible training experience. To accomplish this, you don’t need to reinvent the wheel. I’ll keep things simple and provide you with the workouts and knowledge so you can meet your goals. 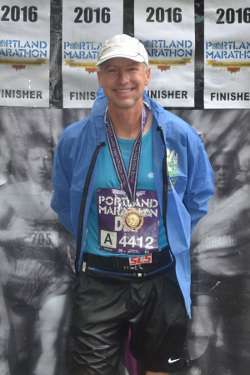 My goal is that after this journey, you will want to continue running marathons every year. I’m confident that you won’t get more value than what I’m offering. Don’t follow a comprehensive training plan and do what you’ve been doing (or worse, do nothing at all). You know where that will likely lead. Frustration, discomfort and nagging injuries. Is that really where you want to go? Take a new action to get a new result. Get prepared for your next marathon and feel strong, healthy and ready to reach your goal on Race Day. Purchase Crushing 26.2 so you can enjoy your marathon experience. From your first runs to finishing the marathon, this comprehensive plan will help you complete your goal.